New Delhi, December 2014 :Winter is here and you are overhauling your wardrobe to meet the demands of the chill. Light and cool cotton wears make way for warmer clothes, darker colors and dresses that trap your body heat inside. So, if you are looking for accessories to blend effortlessly with your winter wear collection, the world’s renowned polarized sunglasses maker Maui Jim offers you a trendy and versatile collection in Black and Brown frames. Remember, sunglasses are not just an accessory you need in summers. Just because the winter sun is not as harsh, this doesn’t mean your eyes need any less protection from the harmful UV radiation. On the contrary, we tend to spend more time under the sun during winters to soak in the warmth. Exposure to UV radiation not only causes harm to the skin but is also dangerous for the eyes. Exposure to UV radiation is directly linked to various eye problems from temporary sunburns in the eye to more permanent damage to the cornea. Long- term problems such as Macular degeneration and cataracts are linked to persistent sun exposure. “In the winter season, people tend to chose darker colors in dresses as well as accessories. They also spend more time in outdoor activities. In fact, a lot of our meetings, events and business outings are also organized outdoors under the sun. This is why people look for extremely comfortable as well as trendy sunglasses in winters. For people looking specifically for winter colors, our collection offers a blend of male, female and unisex styles,” says Mr Ibrahim Rahumathullah, Managing Director, Maui Jim India. Wanderer: How about complementing your long coats and trendy scarves with vintage shades? For those who love to revisit the styles from the past, Maui Jim’s Wanderer is a classic double bridge aviator style sunglass. Wanderer’s Gloss Black Frames with Neutral Grey lenses that block the most of light for bright sunny days will go well with most of your dark colored dresses. Whether you are driving, heading off to a business meeting or simply soaking in the winter sun, Wanderer will give you all round protection with elegance and style. Maile: Maui Jim’s Maile is one of the most elegant and fashion forward designs for women, with chic frames with sleek finishing and design. They assure crisp optics, advanced performance and excellent impact resistance, making them ideal for daily wear with immense comfort. The minimalist frames that do not over accentuate the accessory are loved by all kinds of people of all age groups. Maile’s Gloss Black frames with Neutral Grey Black lens is a simple yet extremely elegant design for winters. At the same time the Black with With Crystal frames and Maui Rose™ lens will go well with dresses with offbeat colors. Switchbacks: One of the most appealing technologies in sunglasses, Maui Jim Switchbacks allows the user to change lenses at will depending upon the weather and light conditions. The Matte Black Rubber frames of Switchbacks come with a PolarizedPlus2® Neutral Grey lens plus an anti-reflective clear lens to compliment your style and need for eye protection. The somber black is an elegant style to add to your winter wear. It will go best with a corporate look but can easily compliment any other dressing style as well. 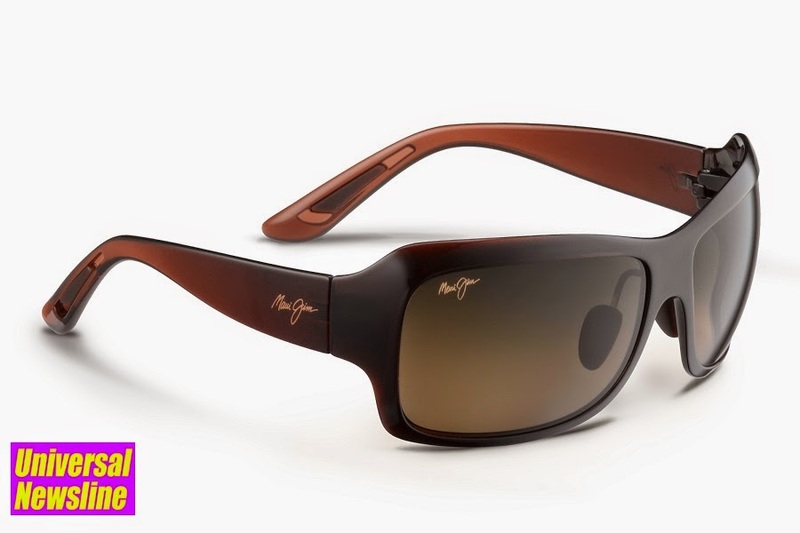 Seven Pools: One of the most recent Maui Jim sunglasses to hit the shelves, Seven Pools is lightweight, high performance sunglass that is scratch and impact resistant; so versatile in appearance and use that it is fit for any activity – be it adventure or everyday routine. With its modified rectangle shape, Seven Pools best compliments round, oval and heart shaped faces. The Gloss Black Fade frames and the Grey Fade frames provide a perfect match to your darker dresses.